Trains still make up a major portion of America’s transportation network. Both passenger and goods trains run every day across California, often in the background. While train accidents are relatively rare, the effects of such an accident is often far more dangerous than in a car wreck. The size, weight, and lack of maneuverability of a train gives rise to the risk of severe injury or death. When facing the consequences of being in a train accident, there is a need for medical attention. This immediate medical attention may also lead to long term rehabilitation and further issues. This and other factors highlights the need for legal assistance from a skilled attorney. 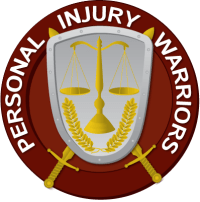 Our vetted personal injury warriors have been involved in many train accident cases, and recognize many of the complicated parts of the aftermath. Hopefully they can assist you in finding medical attention, the means to pay for it, and making sure that the reckless party is held responsible.There are several common factors that are involved in train accidents. Some of these include being a passenger in a light rail or Amtrak train and being involved in a derailment or wreck. These types of accidents could lead to a high number of casualties. There are also cases where pedestrians or vehicles can be struck at railroad crossings. These types of accidents will leave many issues to resolve. The cost of long term rehabilitation can be tremendous. Your insurance company or that of the operator of the train may look to not pay out for the cost of medical and other issues. Many of our members have experience in handling insurance companies, and their strategies. This is extremely useful in making sure that you have the best chance to receive the compensation that you need to get back on your feet. They often can even assist if you do not have medical insurance, and do their best to have your bills taken care of. They can even find qualified doctors to assist you. Unfortunately, the circumstances of a train accident often cause severe injuries, including broken bones, organ damage, brain trauma, spinal cord injury, torn ligaments, and others. Our vetted attorneys will typically have experience in determining the liability of the train company, or agency for the accident and fight for their clients. We can also help you find a qualified lawyer to help, even if they are not presently members. We work to make sure that all of our members are dedicated to the proposition that your bills should be paid for, and that you are paid for and that you are compensated for your pain and suffering. For more information or to speak to one of our expert attorneys, please go here today.